Looking for a healthy and comfortable bakery out in Seoul? The bakery cafe Gordes can make a perfect choice. Now follow BnBHero and walk into this homelike nice bakery! Offering delicious breads, coffee as well as fragrant tea, Gordes always stick to its ‘Three Free’ healthy recipe – artificial flavor free, preservative free and additive free, just feel free to start your refreshing morning at Gordes everyday. The cakes are all hand-made with abundant ingredient, cream and fruits, you can feel the life-loving heart of the baker out of every piece of delicate cake. Gordes also provides seasonal freshly squeezed juice, made of any kind of fruit you love. Come and get yourself a L size of natural Vitamins!! Gordes now has two bakeries at Myeong-dong and Sinchon, Seoul. 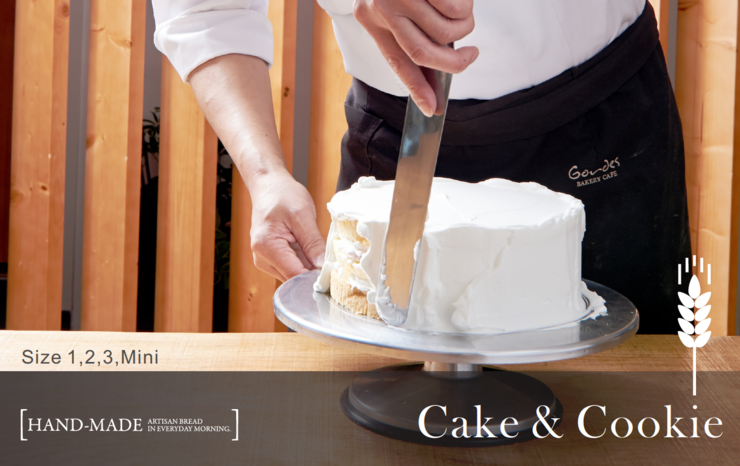 All menus are possible for take-out, you can also call the bakery one day in advance and order whole sized cakes. This entry was posted in FOOD and tagged bakery, bread, cafe, cake, coffee, Food, sandwich, tea.